This is your resource center for everything related to the OpenSites Web Development Platform. To attract and retain customers, online businesses need to solidify their approach to Internet Marketing. A hit-and-miss approach will be less successful as both consumers and the competition become more sophisticated. 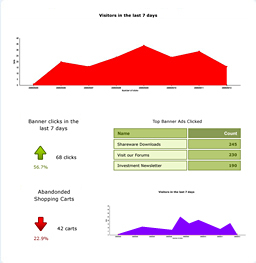 It's time for you to increase your competitive edge with our Internet Marketing Dashboard. Social Media Push allows your website to post your Blog and News Manager articles to Twitter and Facebook and let's the Photo Sweet module to upload images to your Flickr account when they are posted to your website. Get into the Social Media Push today to get your websites social. Are you looking for the next big thing that will help you set your website solutions apart from your competition? You may also be looking for that one missing link between your marketing services and your website services. If you are searching for a new source of site visitors or clients, the Social Media Power Up could be exactly what you are looking for. Get into the OpenSites Web Development Platform and Power Up your Projects with Social Media today. More than 900 developers have realized the power and value of our award winning Voloper Global Merchant E-Commerce solution. Now with a PCI compliant Direct Payments add-on module, this E-Commerce solution is ready for anyone.